Those muffins look elicious! I can't cook for nuts. Sorry to hear about your pain, do you know anyone who specialises in pain management? To change the colour of your blog go to dashboard and click on layout and click Fonts and Colours tab. Hope this helps. Thanks Fran. 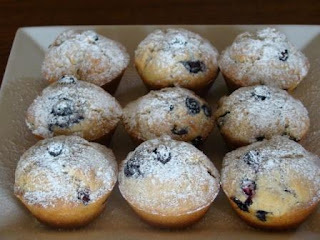 I love to bake and muffins are so easy and freeze well. Appreciate your help with this. I am learning about all the settings on the site. Did not get to change any settings on BigBlog. I will be fiddling around from Boxing Day. Diane baking has kept me sane at different times in my life. Always loved to cook up a storm. I will work on the changes over the next few days. Thank you so much. I can see that I will get there. The help is invaluable. Know this is going to be a very special Christmas for you with the family. Lots of good cheer for you all..
HI CHERYL, AFTER READING THIS I FEEL SO MANY THINGS INSIDE... WE ALL HAVE ALOT OF WORK TO DO. I ADMIRE YOU FOR KNOWING IT IS TIME TO MOVE ON AND TAKE CARE OF YOURSELF. GOING INTO ACTION AND DOING IT MY DEAR FRIEND. I LOVE YOUR BLOG....HELPS ME SO MUCH AND KEEPS ME GETTING TO REALLY KNOW YOU BETTER EACH DAY! TRY TO HAVE A MERRY CHRISTMAS EVE DAY!... SO GLAD YOU ARE FEELING BETTER SO QUICKLY AND ARE ALREADY SO DISCIPLINED. Evening Diane my special friend from across the miles. I understand exactly what you are saying about eating and drinking too much coffee. Fortunately, I gave up smoking many years ago. I will certainly say a prayer that you move towards the Light; Matt would want that for you also. I am not sure how I will go on the day however I have found the preparation to be more enjoyable than I would have imagined. Some truly amazing things have brightened each and every day. I find the more I give thanks the easier the journey becomes. Giving up coffee has been easy although I could not have done it previously.